In Russia Value Added Tax or VAT (Налог на Добавленную Стоимость or НДС in Russian) has to be paid by organisations and individual entrepreneurs that apply the General Taxation System in Russia. Unlike, for example, Corporate Tax in Russia, VAT in Russia is for 100% paid on a Federal level and not on a regional level. The fact that VAT is such an important source of income for the Russian Federal Government is one of the reasons that the control on VAT payments from a federal level in is becoming ever stricter. VAT is a so-called indirect tax, which is paid for by the end consumer. There are three different VAT rates in Russia: the zero rate, the 10% rate and the General Rate. In Russia the General Rate of VAT has been raised on 1 January 2019 and currently amounts to 20% (used to be 18%). The rules about VAT in Russia are laid down in chapther 21 of the Russian Tax Code. Should a contract signed before 2019 be amended? VAT was first introduced in Russia on January 1st 1992. Back then the highest rate was a whopping 28%. A year later, on January 1st 1993, the rate was lowered to 20%. And on January 1st 2004 the rate was reduced to 18%. On 1 January 2019 the maximum VAT rate has been raised back to 20%. Organisations and Individual entrepreneurs that apply the Russian Simplified Taxation System do not have to pay VAT to the Russian Tax Authority (they do have to pay tax to their suppliers on the General Taxation System and cannot recover this VAT from the Tax Authority). Other organisations in principle do have to pay VAT, but, if they meet certain conditions, they can apply for a VAT exemption. Organisations and Individual Entrepreneurs who apply the Single Agricultural Tax and who have a gross turnover of no more than 90 million rubles in 2019, 80 million rubles in 2020, 70 million rubles in 2021 and 60 million rubles in 2022 and the years thereafter. An organisation that has received the status of participant in the Skolkovo project for a period of 10 years or until the moment they earn over 300 million rubles of net profits a year. Income that is derived from importing goods into Russia is not exempted from VAT, provided that VAT applies to this category of imported goods in the first place of course (paragraph 3). Russian accountants often ask themselves the question: does VAT apply in this particular situation? In order to think along with them the following subsection will be of help. In accordance with Article 146 point 1 of the Russian Tax Code, VAT taxes the sale of goods, works and services on the territory of the Russian Federation. A good (товар) is defined in Article 38 point 3 of the Tax Code as any good that can be sold or is supposed to be sold. Be aware though, this definition of goods differs from the definition provided for by the legislation of the Eurasian Customs Union! Works are defined in Article 38 point 4 of the Tax Code as work recognized as an activity with a material result and can be sold in to meet the needs of an organization and (or) individuals. This is also a tax-specific definition. The same term may have different meaning in other laws. Services are defined in Article 38 point 5 of the Tax Code as an activity, the results of which has no material expression. As a general rule of thumb you can say that, unless you are dealing with import, if no change of ownership has taken place place of the goods, works or services, there has been no sale, and. consequently, also no VAT will be charged. Both of the above conditions have to be met. Even if one of them doesn’t apply, the transfer in question is not subject to VAT. In Article 146 point 3 it is declared that building and assembly works for one’s own use are also subject to VAT. In accordance with Article 146 point 4 the import of goods into Russia or into territories under Russian jurisdiction is also marked as an activity, which is subject to VAT. The details of levying VAT upon import are laid down in Article 151 of the Tax Code. VAT is levied on almost all import into Russia, there are, however, exceptions. Like, for example, the import of certian medical equipment into Russia (Article 150 point 2 Tax Code). When importing goods into Russia from Belarus, Kazachstan, Armenia, Kyrgyzstan, tax payers don’t have to pay tax to the Russian Tax Authority, but to the the Tax Authority from the country of origin. That VAT Declaration from a EACU member state then needs to be shown to the Russian Custom Authorities for custom clearance. Conditions under which VAT may be recovered from the Russian Tax Authorities. The conditions under which VAT may be recovered from the Russian Tax Authorities apply, above all, to buyers of goods and services. You need to have a VAT invoice, on which on a special line is indicated the VAT rate that applies and the amount of money that corresponds to this percentage. For example: total amount is 100 rubles, including 10% VAT, 10 rubles. The goods (services works) for which you want to apply for a VAT recovery must be further used in activities, which will also be subject to VAT. For example, if you’re a producer of candy and you buy the ingredient sugar for usage in your production process to produce candy for which VAT will also be paid when it will be sold. The goods, services or works for which you want to reclaim VAT are correctly processed in your bookkeeping documents and can be traced back to original basic source documents. If for example your supplier gave you no VAT invoice, or one with a mistake in it, you won’t be able to recover your VAT. The Russian Tax Authorities are very strict with this. The VAT that one pays to his suppliers is called incoming VAT (входящий НДС in Russian). The VAT that one charges to its buyers is called outgoing VAT (исходящий НДС in Russian).These are not official terms from the Russian Tax Code, but they are used a lot nonetheless. This rate is mainly used in case of export of goods, services or works from Russia abroad. When exporting, the seller can recover the VAT he paid in Russia from the Tax Authority. In practice, the Tax Authority spends a lot of time controlling your documents before confirming that you’re indeed allowed to apply the 0% rate. It is, for example, not sufficient to show evidence that you send your goods from Russia abroad. You also have to provide the Tax Office with details about your client and present them with a contract that has been signed by both parties. Like I said, it takes a lot of time and effort to have your right to apply the 0% rate confirmed by the Russian Tax Authorities. That’s why some companies, for who export is not the main source of income in Russia choose to forgo their right to apply the 0% rate in order not to have to deal with the paperwork involved in applying the 0% rate. The general rate of VAT in Russia is the 20 % rate. If it doesn’t fall under the 0 % or the 10 % rate, this is the rate that applies. When should VAT be paid in Russia? As I have indicated, the VAT rate in Russia has been raised from 18 to 20% in 2019. This naturally raises a few questions with regard to contracts that have been signed before 2019. Obviously the new VAT rate is something that applies automatically to a contract between two Russian parties. It isn’t dependent on whether parties bothered to put into a contract that from January 1st 2019, a VAT rate of 20% applies. What, however, is dependent on the contract, out of whose pocket this 2% different is going to come. First of all this depends on how the contract price is formulated in the contract that you signed before 2019. If, according to the contract, the contract price does not include taxes, this means the contract price will just be increased by 2% and that will be paid for by the buyer. If, however, there is no specification in the contract as to whether the contract price includes VAT or not , Russian courts take the position that the contract price includes VAT. If the contract price includes VAT, the extra 2% of VAT will have to be paid for by the seller, if he didn’t amend the contract on time! If you are acting as the seller and you want to avoid this scenario, you should definitely amend your contracts. Partial advance payments are often part of a Russian agreement on delivery of goods. But what if such an advance payment was made in 2018 for goods that were delivered in 2019? The moment the goods were delivered and, consequently, the VAT invoice was issued are decisive in order to determine what VAT rate applies. If the goods were delivered in 2019, the 20% rate will apply. So what to do with the prepayment with a 18% VAT rate? The general rule regarding prepayments received in 2018 for good to be delivered in 2019 is that in 2018, the seller should pay VAT to the Tax Office according to the interest settlement rate of 18/118. Once goods are delivered, 20% VAT should be paid for them and to offset the VAT paid one can use the 18/118 rate again. As will probably be clear to you after reading this blog post, VAT is a complicated subject. 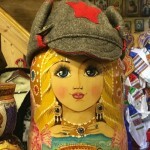 I hope this blog post will help you to gain a basic overview of VAT in Russia. Of course there are many questions left unanswered, it is impossible to come up with an answer to all questions about VAT in just one blog post. You are always welcome to contact us for a free first consultation. 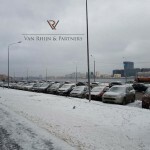 At Van Rhijn & Partners we can help analyse your Russian contracts for VAT related matters and assist you with your reporting requirements to the Russian Tax Office. With inflation already high in Russia, many are worried about the effect the increase in VAT will have on price levels. At least some Russian companies have announced that ,in spite of the increase in VAT, they will not raise prices, because they are afraid to loose market share. I, however expect, eventually they all will have to raise their prices. Ivo van Rhijn is a lawyer and a slavist.